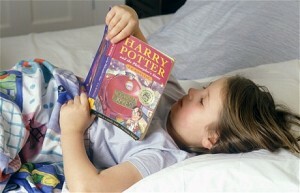 Nothing has done more in recent history to promote a love of reading in kids than J.K. Rowling’s “Harry Potter” series. Not since a previous generation became entranced by J.R.R. Tolkien’s stories about Hobbits who live in their holes (not nasty, dirty, wet holes, mind you, filled with the ends of worms and an oozy smell, nor yet a dry, bare, sandy hole with nothing in it to sit down on or to eat; these are Hobbit holes, and that means comfort), and the epic “The Lord of the Rings” trilogy, have children been so completely drawn into an alternate world of fantasy, action, adventure, faith, and redemption. Good is good, and evil is evil. Good is promoted while evil is condemned, which is well as it should be. In that nearly half of all kids between the ages of six and seventeen have read at least one Harry Potter book, this is a true phenomenon, as by the age of five a person’s reading habits are usually set in stone. By then one is either an avid lifelong reader, or one is not. And a non-reader in today’s techno-world is at a serious disadvantage. Like any other muscle, the brain develops only if it is exercised. This will mean the difference between a dullard and a fully self-actualized human being. Everyone should know how to pilot a ship, fix a car, appliance, or computer, code a program, grow a garden, cook a meal, survive in the wild, draw a picture, write an essay, invest in the market, fire a gun, read a map, think critically, and live as happily as possible (secret of life, that one). The list goes on. And in the absence of instruction or opportunities for practical experience, we learn by reading. While the Internet is good, books are still the best. A lifelong reader is a lifelong learner. And don’t underestimate the importance of fiction and literature, as a well crafted story will connect diverse notions, expose the reader to surprising and multiple ideas, and lead to insight and innovation. A person armed with these concepts has an immense advantage over the entire field! Read to your kids! – You can never start too young. The best way to promote reading is to read to your preschooler! Keep it age-appropriate – While kids might find it intriguing to find Gregor transformed into a giant cockroach in Franz Kafka’s ‘The Metamorphosis’, you should build up to this. Perform the book – Point out the illustrations. Do different voices for the characters. Give your kids a line to deliver when the time is right. Engage! Create a home library – Keep a wide variety of diverse stories close by at hand. This being said, don’t be dismayed if they want to hear ‘The Mouse Who Ate Cleveland’ for the 100th time. Some things you never get tired of. Point out the words – When they are old enough, let them make the connection between the spoken and the printed word. Discuss the story – Was it really necessary for Avery the Ravenous Rodent to completely devour Cleveland? Couldn’t he have survived on just nasturtium seeds from the garden? Ask what they think should happen next! Encourage creativity – Even if they can’t yet read, kids love to draw. Have them create a series of pictures based on a everyday theme, like ‘Our Trip To the Park’. Then make up a story and read it together along with the pictures. Don’t be surprised if cetaceans appear at some point. Subscribe – The monthly arrival of kid’s magazines is always something to look forward to. And the puzzles are a lot of fun. 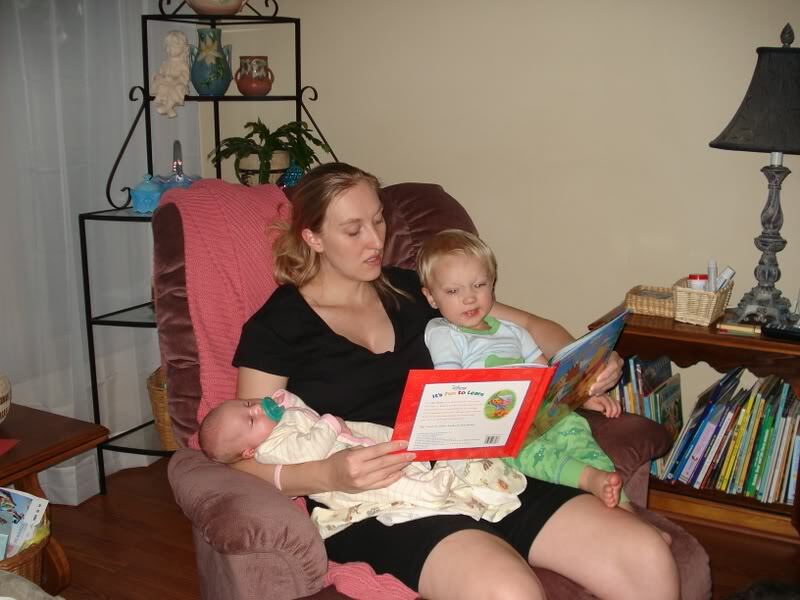 We offer Tutoring Services in Boulder Colorado to help you turn your kids into lifelong readers.